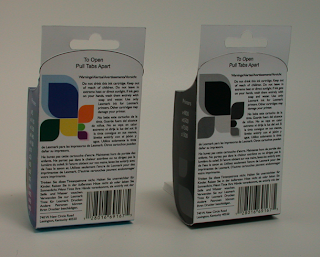 Here was my first attempt at a package design. 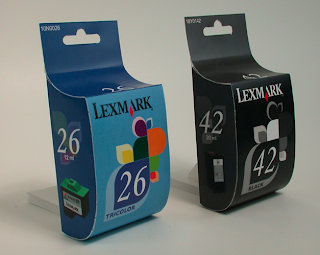 The project was to redesign a print cartridge's packaging. I did it about half a year ago, and was pretty satisfied with it when I finished, but looking back at it, I see every little thing I should have done. I hate that it works that way, but what are ya' gonna do?